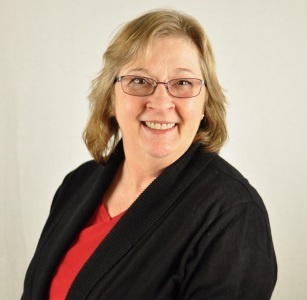 Pam started working in Dentistry in 1977 while serving as a dental technician in the United States Navy. She has served in Philadelphia Navel Ship yard as well as Pearl Harbor. She and her husband have enjoyed living here in Colorado Springs since 1983. They enjoy the outdoors and going camping with their dog Maggie (german shephard/border collie) any chance they get. 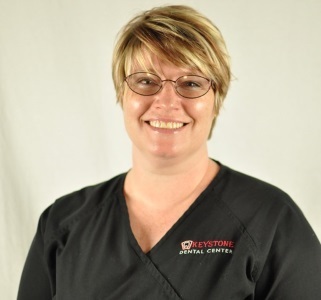 Pam has been an important part of the Keystone Dental Center Team since November of 2010. Once you get to know Chris, you will agree he is one of a kind! Chris has always enjoyed going to the dentist and decided that he would like to pursue working in the field. In 2009 he graduated form PIMA and began working in the field. 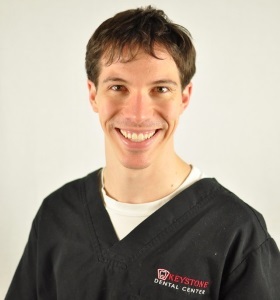 He has been with the Keystone Dental Center Team since 2014 and loves making patients laugh, smile and feel comfortable during their appointments. Chris is a native of Colorado Springs and enjoys outdoor activities, working out, reading, writing and lots of ice cream! In 2016 Chris decided that he wanted to learn to fly and has been taking lessons to do just that. He looks forward to earning his pilot’s license. Jamie is a native of Colorado Springs and has lived here all her life. She graduated from Pikes Peak Community College with her associates in Dental Science and the continued to earn her Expanded Duties Dental Assistance certificate in 1996. She joined the Keystone Dental Center team in March of 2015, and loves meeting new people and caring for our patients. Jamie is married with two amazing children and loves to spend time with them. She loves to cook and try new foods. Their family loves outdoor activities – camping, hiking and gardening, when the weather turns cold you can find them out on the ski slopes. 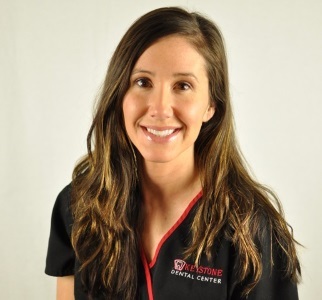 Melanie is originally from Cedar Hills, Utah and graduated with her Bachelors in Dental Hygiene from the Utah College of Dental Hygiene and is now a Registered Dental Hygienist. She has been fulfilling a few roles at Keystone Dental Center since June of 2015. Along with caring for our patients oral health, Melanie helps Dr. Lamb spread the word about Keystone Dental Center through her marketing efforts. Melanie loves working with people and teaching them about good oral hygiene and how they can be as healthy as possible. This is very important to her due to her background in personal training. She has been married since 2015 and some of Melanie’s hobbies include going to concerts, running, snowboarding, working out and having fun with her husband and family. 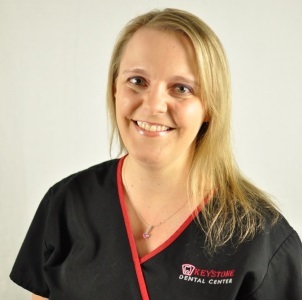 Dana is a Registered Dental Hygienist and has been a part of the Keystone Dental Center Team since 2013. She is a native of Colorado Springs and graduated from Wasson High School in 1999. She earned her degree from CNCC in Rangely, CO, and has been practicing dental hygiene since 2004. She is proud to be with KDC because everyone in our group believes in providing outstanding, high-quality care for our patients. I love to help others strive toward health and wellness not just in their teeth and gums, but in their entire body as a whole.